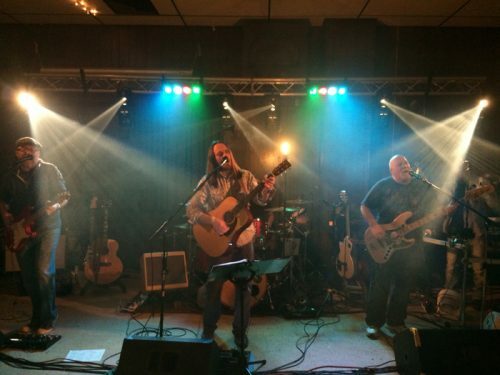 Based in Lancaster County, PA, Ghost Light Radio Show brings their own special mix of pop, country, and rock that spans from the 70’s to today. The current lineup has been bringing their energetic performances to fans since 2015 and has developed a loyal following in their home town as well as Maryland and Delaware. With the double-threat of singer/guitarists Ben Pierson and Mike Witmer, Ghost Light Radio Show brings a unique variety of songs that everyone can enjoy. Their rhythm section and founding members, Andy Homsher (bass) and Doug Kauffman (drums), have been life-long friends and bandmates and it shows when they hit the stage. Together, these four guys put on an entertaining show for all ages to enjoy, bringing their unique twist on songs you know and love. If you’re up for a fun night of music, look no further than Ghost Light Radio Show.